Research published in 2016 suggested that 82% of Irish dairy herds have been exposed to liver fluke1. It is estimated that the parasite is responsible for losses of €90 million annually to Irish livestock farmers2. This comes via reduction in meat and milk yields, decreased fertility and higher rates of liver condemnations. So what is liver fluke and why is it so damaging? When the animal ingests a liver fluke larvae, it eventually arrives in the small intestine. Here it develops into an immature liver fluke, which then burrows through the lining of the gut and continues towards the liver. A fluke’s ultimate goal is to settle in the bile duct, where it matures and lays eggs. However, to do so the developing fluke must first navigate through the liver and it is this process that causes losses in our animal. The liver plays a vital role. It is responsible for the removal of harmful toxins from the system, the production of glucose (the body’s fuel source) and the synthesis of important proteins and antibodies which are key components of the immune system. Young fluke tunnelling through an animal’s liver disrupt these mechanisms. Much like removing the fuel filter from a car engine, a reduction in the organ’s de-toxifying capacity will lead to a build-up of harmful agents in the system. Likewise, reducing the animal’s ability to synthesise glucose and certain proteins leads to production losses. In essence producing less fuel for the nutrients we take in. An underperforming liver also leads to an underperforming immune system, opening the door for other ailments. Once a fluke reaches the bile duct it matures and begins to lay eggs. Here it feeds on blood from the lining of the duct and, while a large infestation of mature fluke can lead to anaemia in the animal, the main losses associated with liver fluke come about during the immature stage of the parasite’s life cycle when it is boring tunnels through our liver. In other words, the immature fluke do the damage. However, with no fluke eggs we have no fluke, so it is just as important to remove adult liver fluke as it is immature fluke. Triclabendazole is currently the only active ingredient effective against all stages of fluke – early immature, immature and adult. Based on a 2015 study, a significant outbreak of liver fluke has costs the average, 90-cow Irish dairy herd in the region of €20,0003. From a beef point of view, an infestation can have a negative effect on feed efficiency. This in turn drastically lengthens the finishing period – the most expensive part of a production system – and, as a double impact, this means we run the risk of missing carcase specifications and receiving a reduced price/kg at sale. UK research suggests an 80-day increase in feeding days where fluke infestation occurs in finishing cattle4. 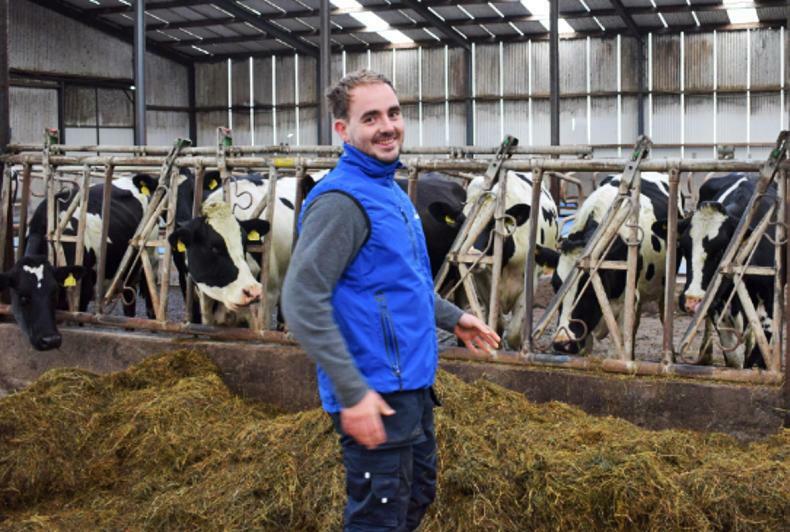 Earlier in 2018, a study was published by University College Dublin in which 49,000 faecal samples taken nationwide from cattle and sheep were analysed 5. 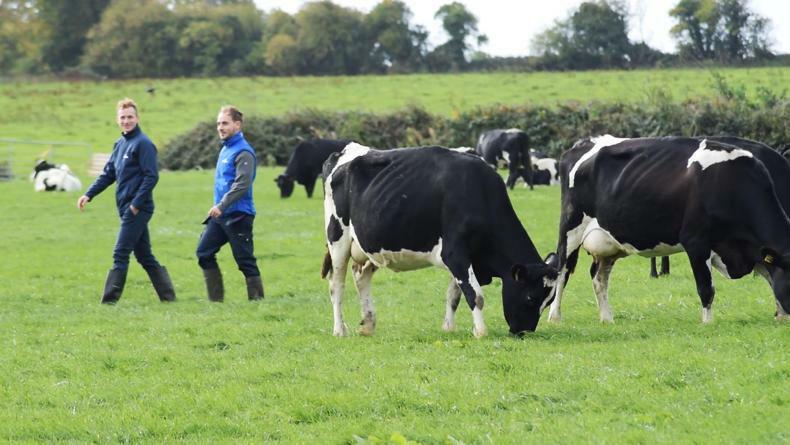 The incidence of samples showing positive for liver fluke eggs in cattle was highest in the south of the country, where the majority of Ireland’s dairy herd reside. Trials like this show the importance of looking at fluke risk on a field-specific basis. A single wet area can act as a reservoir for fluke larvae. Mild, wet conditions are ideal, but other favourable scenarios could include muddy walkways or leaking water troughs. A striking conclusion of the paper5 was that temperature, not soil drainage or rainfall, was the most important variable in determining the risk of liver fluke infection. There can be dozens of live adult fluke in the bile duct of an infected animal and each of these has the capacity to lay up to 25,000 eggs per day for months on end. When a fluke egg hits pasture via dung, it will hatch into young larvae with the right levels of moisture and heat. The larvae then goes in search of an intermediate host, the peppercorn-sized mud snail, which it needs to complete its life cycle. The mud snail thrives in similar conditions, heat and moisture. A single larvae penetrating a mud snail will multiply into upwards of 600 infective larvae on pasture in a matter of weeks. These are what’s ingested by the animal to begin the cycle again. Given the numbers above, it is easy to see how a single infected animal can escalate into a herd-wide problem. A rethink on fluke attitudes is needed. As well as treating immature fluke and preventing liver damage, we need to remove the sources of fluke eggs. This is food for thought for those buying in cattle. Fluke should be viewed in the same way as other infectious diseases, with quarantine and treatment protocols in place on all farms. When using a triclabendazole product like Tribex at housing, best practice is to wait for two weeks after the animals have been taken off pasture. It takes roughly 7-10 days for the larvae to develop into an immature fluke inside the animal. No product is effective against the larval stage of liver fluke but by waiting we can be safe in the knowledge that we are hitting any larvae that may have been ingested the day they were housed. Thus our animal will be completely clear of any fluke. Treating bought-in animals with Tribex before mixing them with the rest of the herd will eliminate the risk of infection being introduced from outside. When using Tribex it is important to dose based on the animal’s weight and ensure that equipment is calibrated correctly. If no scales are available, dose based on the heaviest animal in the group. Under-dosing is futile, leading to poor efficacy and anthelminthic resistance. 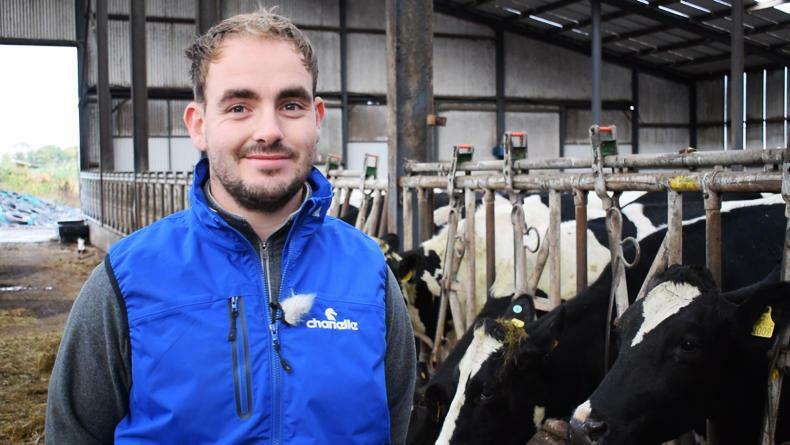 Neil Burke: 350-cow dairy farmer in Tara, Co Meath. Split spring/autumn calving. 1. Detection of major climatic and environmental predictors of liver fluke exposure risk in Ireland using spatial cluster analysis. Selemetas, Nikolaos and de Waal, Theo. 3-4, 2015, Veterinary Parasitology, Vol. 209, pp. 242-253. 2. Potential impacts of climate change on veterinary medicinal residues in livestock produce: An island of Ireland perspective††This paper is one of a series of reviews on “Climate Change and Food Safety – an Island of Ireland perspective. Cooper, Kevin M., et al. 1, 2015, Trends in Food Science & Technology, Vol. 44, pp. 21-35. 3. Determining the Prevalence and Seasonality of Fasciola hepatica in Pasture-based Dairy herds in Ireland using a Bulk Tank Milk ELISA. Bloemhoff, Yris, et al. 16, 2015, Irish Veterinary Journal, Vol. 68. 4. AHDB - Eblex. Better Returns From COntrlling Liver Fluke. Agriculture and Horticulture Development Board. [Online] 2012. https://beefandlamb.ahdb.org.uk/wp-content/uploads/2013/06/Leaflet-Reducing-liver-fluke.pdf. 5. Spatial patterns of Fasciola hepatica and Calicophoron daubneyi infections in ruminants in Ireland and modelling o f C. daubneyi infection. Naranjo-Lucena, Amalia, et al. 531, 2018, Parasites and Vectors, Vol. 11.